Well, Mama-to-be, let me tell YOU why having maternity photos taken is something that you will be so glad that you did do later on… and it will be also be an enjoyable experience! …Maternity Photography is about creating emotive and authentic art that truly captures the depth and feeling of each moment. You can customise your Maternity session to take place at your home or at an outdoors location in Sydney. There are endless possibilities to what your maternity session can look like! SPECIAL OFFER: I also work with Mama Rentals who has an amazing collection of beautiful maternity gowns for hire, which are perfect for maternity or newborn sessions! As my client, you will receive an exclusive discount too! You can see the complete collection at the link above. Please enquire for details when booking. Having a baby is pretty overwhelming, choosing your photographer doesn’t need to be. When you have a newborn session in your home, it will be free flowing, adapting to you and your little one. There won’t be any expectations on your new bub, and we’ll just follow his or her mood… so whatever happens during your session, even if your baby is crying and only wants to be held, it doesn’t matter…this is a little piece of your life and that is what I want to document for you. You will walk away with beautiful images whether your baby is peacefully asleep or wide awake. 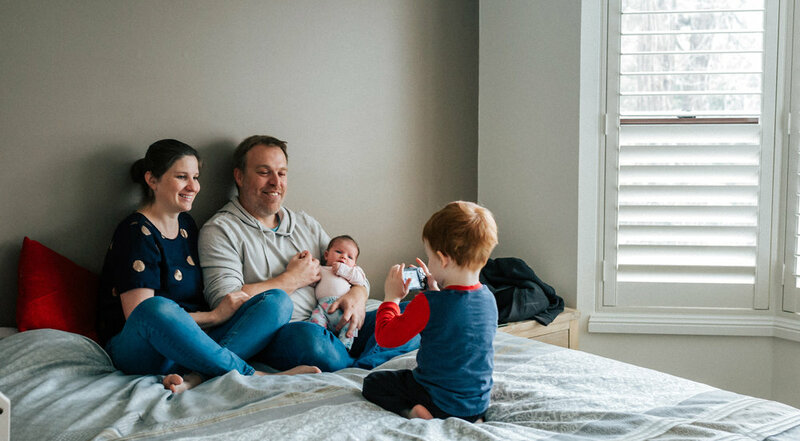 Because your newborn session takes place in your home, this way you won’t need to worry about travelling with such a young baby or about germs, noise, bad weather etc. I’ll arrive at your home with only my camera in hand. No props and no pressure.